The 10 Day Dreams Initiative is designed to help close the achievement gap in the film industry for all minority and female filmmakers. Thanks to our educational partners and the non-profit Arts Equality, the 10 Day Film Challenge is offering summer filmmaking camp scholarships to our female and minority filmmaking students, who are currently participating in this year's Challenge, to help fulfill our 10 Day Dreams mission. You must complete all scholarship applications through this website. Do not complete any applications through the camp directly. There will be one (1) recipient selected for this SOCAPA scholarship in New York or Vermont. TUITION, HOUSING, and MEAL PLAN included in scholarship ($2000 - 4000 value). Travel costs are not provided by SOCAPA. $250 travel and additional expenses voucher supplied by the 10 Day Film Challenge upon attendance at camp. Burlington VT housing and camp activity on Champlain College's Lakeview Residence Hall in Burlington, VT. Learn advanced filmmaking techniques and/or screenwriting. Who should apply? Minority and/or Female students who are current 10 Day Film Challenge participants with a desire to learn advanced filmmaking AND be willing to live on-campus for 1 or 2 weeks in New York City or Burlington VT. 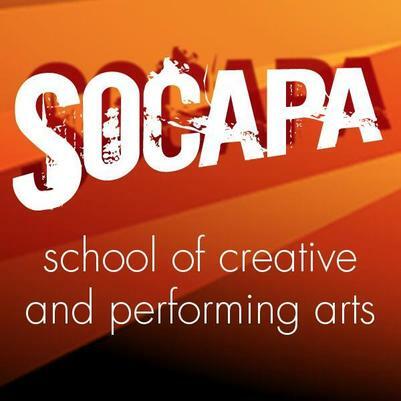 There will be one (1) recipient selected for this SOCAPA scholarship. FULL APPLICATION for the scholarship,​ click HERE. Scholarship is for a 1-week summer film camp in New York, Massachusetts, Florida, California or various cities outside the USA. Total Camp Value: $3000 - $4000 (depending on location). Travel costs are not provided by NYFA in this scholarship. Who should apply? Minority and/or Female students who are current 10 Day Film Challenge participants ​with a desire to learn advanced filmmaking AND be willing to live on-campus for 1-week in a city of their choice. There will be one (2) recipients selected for this NYFA scholarship. CAMP DATES and LOCATIONS: The recipient may select from ANY 1-week camp offered by NYFA. See ALL options HERE. There will be one (1) recipient selected for this scholarship. 3 weeks: Monday - Friday. Begins July 17. Ends August 4. Commuter 'day camp' in Philadelphia, PA. No evenings, no dorms. No students live on campus at this camp. TUITION included in scholarship ($1800 value). Travel costs to and from camp are not provided by WHYY in this scholarship. FULL APPLICATION for the scholarship, click HERE.